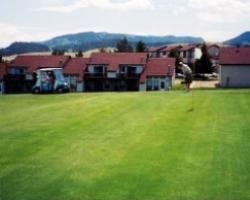 *Fairmont Estates Condominiums* are located on the 18-hole golf course of Fairmont Hot Springs Resort. Guests enjoy golf, Olympic-sized swimming pools, hot mineral pools, and a waterslide (for an additional charge). Within walking distance, the resort offers a restaurant, lounge with live entertainment, video gambling, and tennis courts. 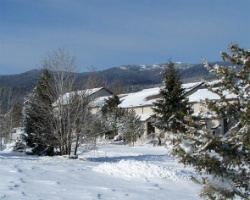 Activities nearby include winter snowmobiling and skiing, and horseback riding and fishing in the summertime. A Jack Nicklaus signature golf course is within 10 miles. Big Hole River, Georgetown Lake, and Discovery Ski area are a 35-minute drive away. For more information, visit www.fairmontestates.com.